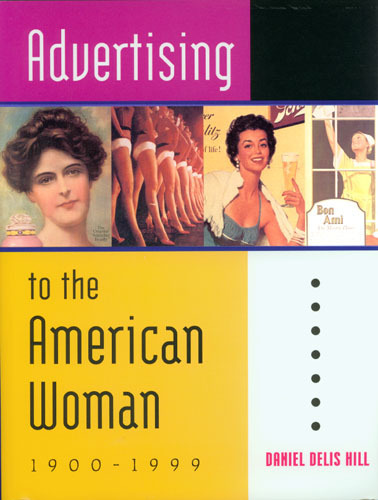 This lavishly illustrated study examines how the mass production of consumer foods, the development of the advertising industry, and the evolution of women’s roles in American society inextricably progressed in tandem through the twentieth century. Daniel Delis Hill focuses on the marketing perspective of the topic rather than on the consumer’s point of view. Among the key issues explored is the peculiar dichotomy of American advertising that, on the one hand, served as a conservative reflection of society, and yet at the same time, became an undermining force of progressive social change. For example, even as ads of housekeeping products perpetuated the Happy Homemaker stereotype in the 1920s, ads from tobacco and cosmetics dismantled traditional women’s behavior and images to create an entirely new type of consumer. This is an excellent reference for advertising history, American popular culture, communications art and design, and women’s studies.